The shrieking rip of a chainsaw and the muffled roar of fire: both of these sounds are associated with extensive destruction of Amazon rainforest. 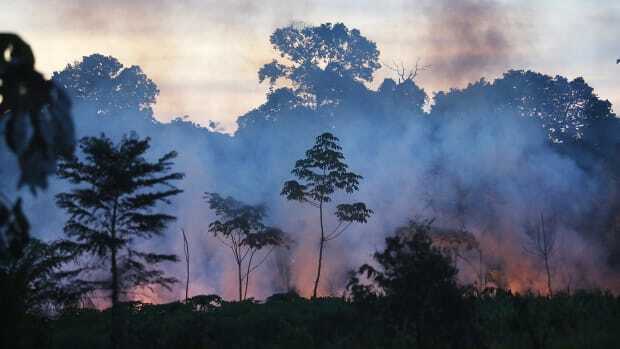 But is logging or human-caused fire a larger issue for the fate of the Amazon? And when such activities culminate in a partially degraded forest—rather than complete deforestation—is there much cause for alarm? A recent study published in Environmental Research Letters explored these questions. Using a combination of ground-based, satellite, and LiDAR data, scientists from the University of Maryland and NASA recorded the loss of carbon due to forest degradation in areas exposed to logging, fire damage, or both, in 7,722 square miles of the southeast Amazon&apos;s "arc of deforestation," a crescent-shaped strip of intensive forest conversion along the southern and eastern edges of the forest. "We combined [forest inventory, satellite, and LiDAR data] within a modeling framework to predict how losses and recovery rates of carbon stocks/forest structure are driven by differences in the type, intensity, and frequency of human degradation," said the study&apos;s lead author Danielle Rappaport, a doctoral candidate at the University of Maryland. "By providing the first comprehensive set of emissions factors for Amazon forest degradation, this work aims to help support the formal integration of degradation within carbon accounting systems, which have generally excluded degradation all together." Degradation, unlike deforestation, is not absolute. Instead of a complete elimination of forest from the land, degradation is a more subtle process through which patches of forest, or even just individual trees, are lost. 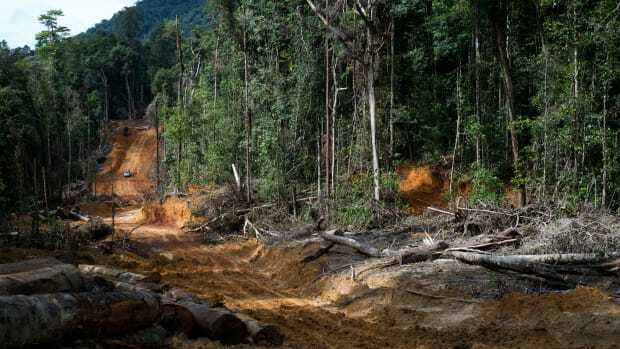 But the loss is still significant: 19,620 square miles of forest in the Brazilian Amazon was degraded between 2000 and 2010, and emissions from degradation in the Amazon may be higher than those from deforestation. Additionally, the decreased structural complexity of degraded forests cannot support as much biodiversity as primary, undamaged forest. Measuring irregular losses in Amazon forest carbon stock is difficult. Selective logging targets valuable hardwood tree species such as ironwood and mahogany and typically removes several trees per hectare. Similarly, understory fires—caused by agricultural development, flammable debris leftover from logging, or careless disposal of cigarettes—may leave canopy foliage intact despite a charred underbelly. Modern-day satellite images cannot penetrate the forest canopy to record potential damage below, and isolated instances of degradation may not be visible at the 30-meter or higher resolution of standard satellite imagery. Surveillance by foot can more clearly identify degraded forests but is unfeasible for areas larger than a few hectares (or acres). Light Detection and Ranging (LiDAR) is a method of remote sensing that uses light waves to measure distances to a target (in this case the Earth&apos;s surface and vegetation) from a transmitter. Lasers are fired, typically from an airplane, at up to 150,000 pulses per second and bounce back to a highly acute sensor located near the source of the lasers. The distance to the target is calculated from how long it takes for the lasers to return, and different spectrums of light can be fired in order to survey different materials or structural properties. Combining the calculated distances traveled by individual lasers, each to a different point of the target, with a highly precise GPS system results in an impressively accurate three-dimensional representation of the target structure. The incorporation of LiDAR data allowed the study&apos;s researchers to explore dimensions of forest loss that previously were hard to quantify. "With LiDAR, we are able to characterize the fine-scale changes in carbon density associated with degradation," Rappaport said. "[Carbon losses from degradation] have been trickier to characterize than carbon losses from deforestation, which are less subtle in nature." LiDAR data&apos;s remarkable precision does come at a cost that is prohibitively high for most research teams. Since the technology was only recently developed, historic LiDAR data is not available, so change over a long time series cannot be observed. Historic satellite data, such as from the Landsat series, comes in great use. The Landsat satellites have been operating continuously for 46 years, and the two currently orbiting satellites, 7 and 8, in combination record freely available images of almost the entire globe in an eight-day cycle. Although the images do not have the spatial resolution of LiDAR (each Landsat pixel is 98 feet across) Landsat complements LiDAR with resolution across time. 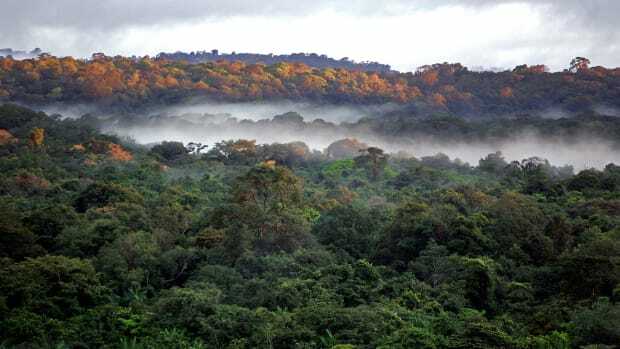 "Our work to combine forest inventory measurements, airborne LiDAR, and Landsat time series serves as a blueprint for the synergistic use of multiple data sets to estimate carbon emissions from forest degradation," Rappaport said. Although high-resolution data from sources such as LiDAR can reveal somber findings, acquiring an accurate depiction of the full amount of carbon lost due to both deforestation and degradation is critical to understanding—and preventing—anthropogenic disturbance of forests. 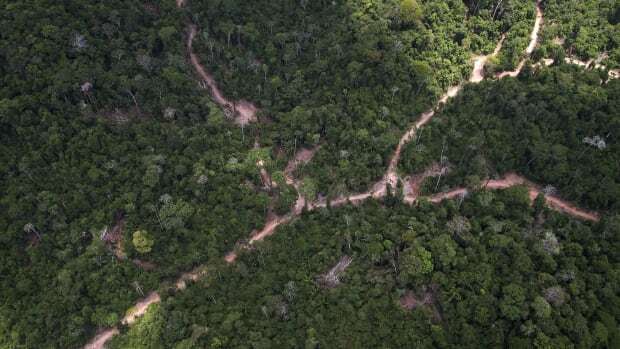 "By combining the emissions factors published in this study with [forest cover change] data from satellite observations, we will be able to verify the long-term role that Amazon forest degradation plays within regional carbon cycling," she said. Rappaport added that they could also "establish emissions baselines necessary for supporting the implementation of REDD+." A refined understanding of the drivers of forest degradation can also refocus preventative efforts. 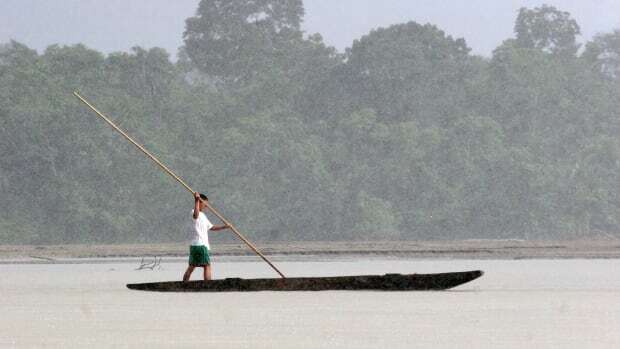 The World Bank and the International Union for the Conservation of Nature quickly deployed fire control projects in the aftermath of the massive El Niño drought across the Amazon in 1998. 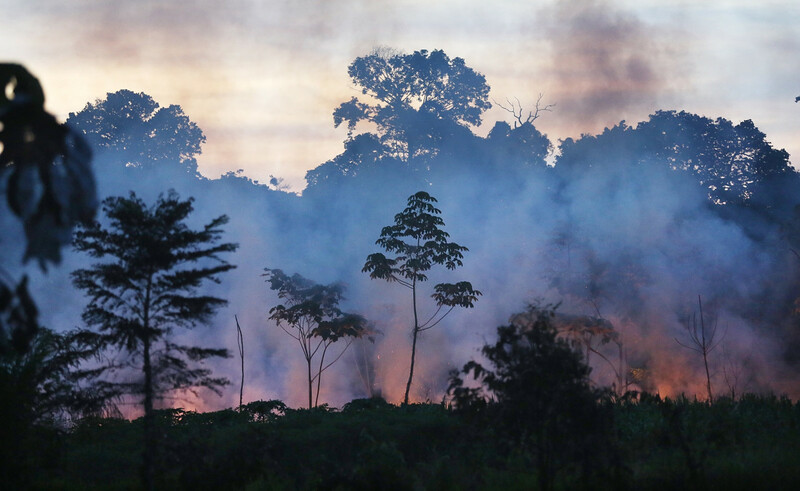 With the provision of additional mapping of forest damage due to fires, and with organizations such as Brazil&apos;s National Institute of Space Research taking note, widespread preventative initiatives could be revitalized. 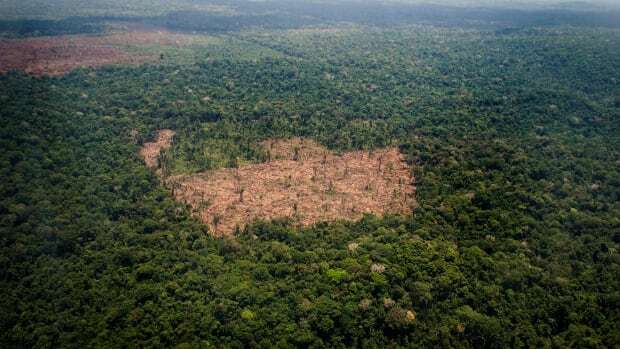 "[Brazil]&apos;s advanced satellite-based monitoring system was a central agent in spurring increased law enforcement and responsive action against forest clearing," Rappaport said. More widespread LiDAR coverage throughout the Amazon is on the horizon, and continued surveillance will likely stir up more attention, and policy change, in response to forest degradation and the serious impact of anthropogenic fires. "Remote sensing is uniquely poised to help drive and enforce policy change to stem deforestation and degradation."